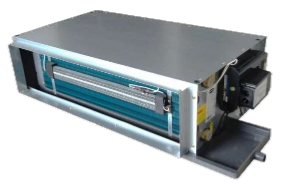 Sonkor’s Polar Air line of Fan Coil Units are complete with energy efficient EC Motor technology, and available in both Ducted and Ductless configurations. Ductless Hydronic Fan Coil Units are unique, offering the space-saving benefits of traditional Ductless Splits, while not affected by long line length limitations of refrigerant based systems. Polar Air is a company that specializes in developing and producing professional HVAC solutions to worldwide markets. It has over 30 years of international HVAC business, providing one of the strongest and widest product ranges worldwide, suiting the most demanding market requirements.